You can require families to fill in USA Registration information when they use online registration. This article assumes you will edit an existing registration. If you need to add a new registration or clone an existing one, please see our online registration guide. In the side menu click Team Admin > Registration Admin. Click a registration title to edit. 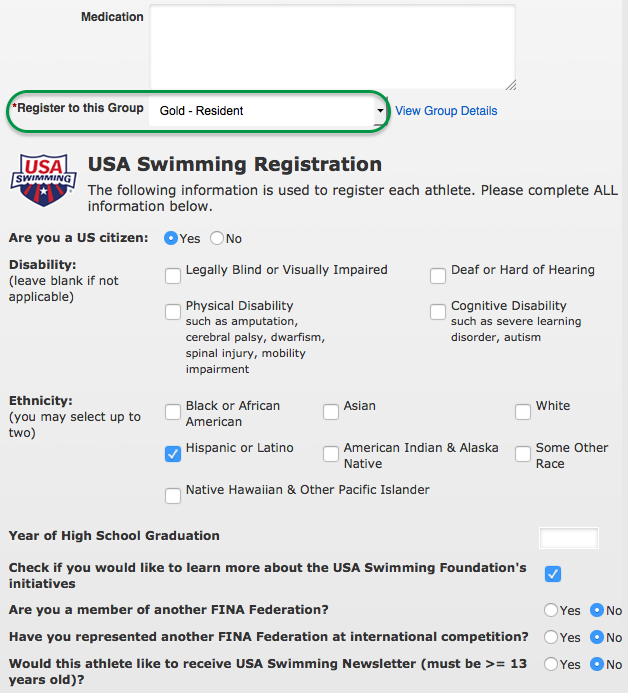 Parent and Guardian information is required on a USA Swimming registration form, so make sure to set "[Parents/Guardians] Entry Fields" to Show and Required if you haven't already. 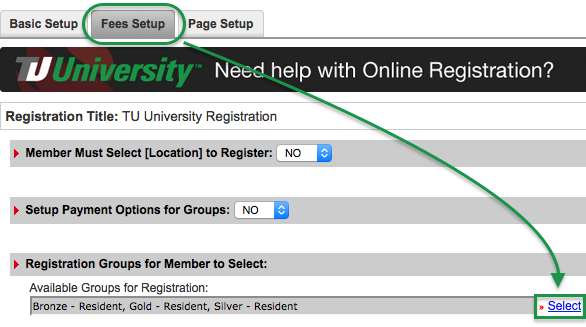 If you made the update in step 3, click Save Changes, and then click the registration title to edit again. Click the Fees Setup tab. Click Select under "Registration Groups for Member to Select." Either click Add New or click an existing registration group name. 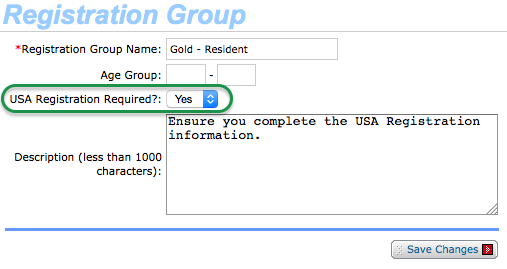 Notice in the below example "Gold - Resident" does not yet require USA Reg. Set the "USA Registration Required" drop down to Yes. Click Next >> in the lower right. During registration, when a registrant selects a group that has "USA Registration Required" set to Yes, the following will show up for them to complete (this will apply to all members being registered to a group that has this feature turned on).